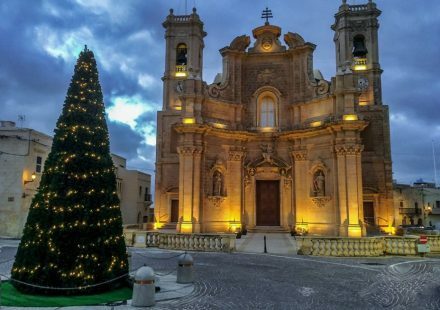 If you’ll be visiting the island during the Christmas season you will be glad to know that during this time, Gozo has an extra dose of cultural activities and events that revolve around the celebration of Christmas in Gozo as a feast that you can enjoy. The main streets in Victoria (Rabat) are richly decorated with Christmas lights and Christmas trees and most of the villages too will set up special street lighting for the Christmas celebrations. Gozitans love decorating their houses for the season and if you go out after dusk you will be surprised at the number of houses that are profusely decked with lights. In fact, many houses look like they’ve been lifted off some Christmas postcard. 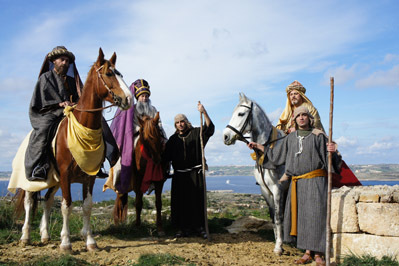 Apart from this, Gozo holds its very own Christmas parade in December and Santa Claus (also referred to as Father Christmas) is a very prominent figure during the season. Gozo is an island with a strong Catholic tradition and the Christmas celebrations are deeply rooted in the birth of Christ. Christmas in Gozo means, this can be felt through the numerous nativity scenes and crib exhibitions that are held in various locations. Some cribs are also on display in private homes, which during the season open their doors to welcome visitors. Some cribs are more special than others, in the sense that they are mechanical ones. Maybe the major attraction along this theme is the ‘Bethlehem f’Għajnsielem’, whereby the fields Ta’ Passi, limits of Għajnsielem are set up as the nativity village complete with different workshop, market and inn. The village which is animated during the season offers a unique experience at different times of the day and one can appreciate both the scenes representing the traditional nativity and the local rural customs. Other pageants and processions take place in other villages too but from the locals’ point of view the midnight mass on Christmas eve is maybe the most important celebration and most communities will party with traditional refreshments and treats after the church service. Christmas in Gozo entails music and carol singing and in this aspect, Gozo truly delivers. 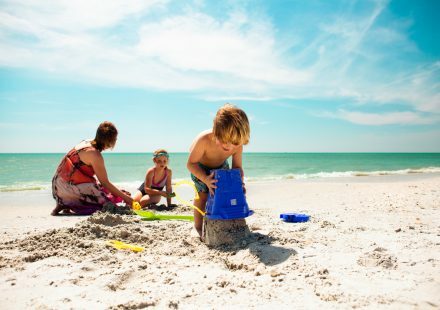 The several choirs and musical groups of the island hold concerts and musical evenings and these are a true enchantment to those who enjoy music. If you’re dining out during the feasts, it’s best to book your favourite restaurant because, during this time, most places will be packed with families and friends who come together to party. Most restaurants will have special menus for Christmas Eve, Christmas Day, New Year’s Eve and New Year’s Day. If you’re on the island during the season, make sure you bite into some treacle rings, one of the traditional Christmas treats. Christmas in Gozo is a truly special experience. One week after Christmas, Gozo welcomes the New Year with special celebrations at Independence Square and St. George’s Square in Victoria. DJs and bands provide entertainment and take the audience through the countdown for 2017. For full details about the events visit Visitgozo.com. 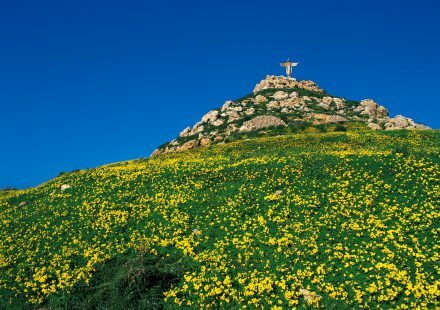 On the other hand … if you prefer something different away from the joyful merriment of the season, you can still enjoy walking in the rural and magical peace that the Gozitan countryside offers during the season.